Opening hours: Business hours are usually from 8:00 to 15:00 on weekdays. Major shopping malls are open until 22:00 or later. As of January 2018, liquor store opening hours are shortened to 10:00–20:00 (until 15:00 on Sundays). Abundant in beautiful landmarks and interesting museums, Kaunas has a remarkable cultural heritage that celebrates Lithuania's eventful history. The Town Hall, often called the White Swan, is a true spectacularity with its impressive 53-metre tall tower. It was built in 1542, after the former building had been destroyed by the fire. 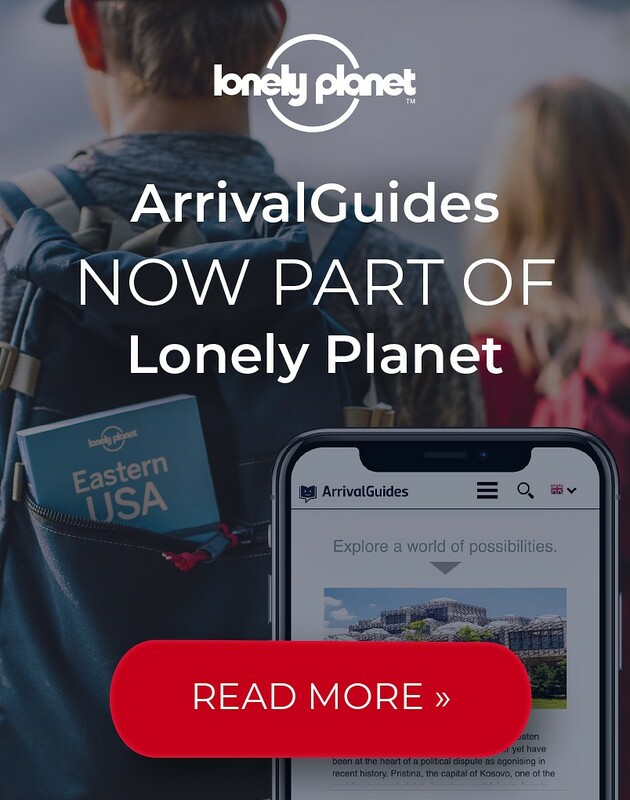 Located at the centre of what once was a marketplace, today it is a popular wedding scene, and houses a pottery museum, as well as the Kaunas City Museum, representing the rich cultural and political history of Kaunas. 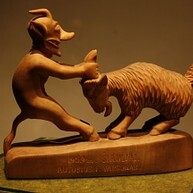 Don't forget to hunt for the sculpture bugs, unveiled here in homage to "European Walt Disney" Władysław Starewicz! This ensemble is regarded as the most beautiful Baroque-style landmark in the Baltic states, nestled in foresty Kaunas Reservoir. The church and abbey were built for Camaldolese monks in the 17th century, under the supervision of Italian masters from Florence. Its on-site museum offers educational classes and a small cinema. 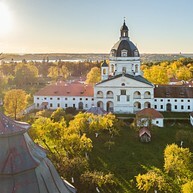 The monastery is home to about 140 frescoes of varying sizes, including the famous painting of the Mother of Fair Love, which was presented to Kristupas Zigmantas Pacas, founder of the Pažaislis Church, by Pope Alexander VII in 1661. Kaunas was a significant cultural base of the Jews living in Lithuania; its Jewish community amounted to one third of the city's inhabitants, and the ghetto set up here further increased their number. 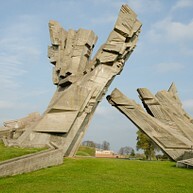 Fort IX is a stronghold and museum that commemorates Kaunas's eventful history, and the people who were killed or imprisoned here under the WWII Holocaust. 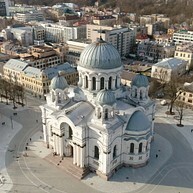 Commonly known as the garrison church, this Neo-Byzantine-style building was designed and built by order of Russian Tsar Alexander III in the late 19th century. Located at the eastern end of the main pedestrian street Laisves aleja, it is one of the most impressive landmarks of the city, and a lot more than a Roman Catholic church: the catacombs underneath are home to the Museum for the Blind, where there is not much to see—but a lot to experience! Embarking on a funicular journey is a unique experience in Kaunas, as this is the only city in the Baltic states where this means of transport is available. The Žaliakalnis, built in 1931, is one of the oldest funiculars still in operation in the world. The other funicular in Kaunas, Aleksotas is much sought for the view you'll get (of the Old Town) once you reach the hill of the same name. Located at the confluence of the Nemunas and Neris rivers, this impressive brick castle was built in the 14th century at the beginning of the Teutonic attacks. Unique for its double walls and the surrounding tunnel, many events and legends of Lithuanian history are attributed to it. Today, the castle is home to various temporary and permanent programs all year round. Join educational trips and exhibitions, mould a stove tile, and try your knowledge with the Castle Quiz. Just opposite the castle, St. George the Martyr Church is also worth a visit, for it is an important landmark of Roman Catholicism. This is not an ordinary oak grove, as its name suggests, but the largest in whole urban Europe! Visit the Kaunas Zoo nearby, or simply take a stroll here, and try to find the rock which Adam Mickiewitz carved on at his favorite spot. 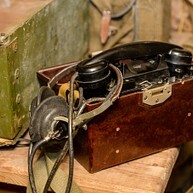 Just six metres underground you'll find yourself in the interesting world of WWII relics—gas masks, surveillance equipment, aircraft black boxes, radiation meters, have been all gathered here to give you a unique insight into this dark era of history. Served as the presidential palace between 1919 and 1940, this building is one of the most important locations of Lithuanian history. 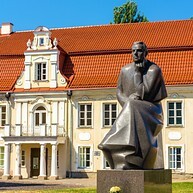 Once the home of presidents like A. Smetona, K. Grinius and A. Stulginskis, today it hosts various cultural events, as well as permanent and temporary exhibitions. Stumbras is the largest liquor company in Lithuania, and this museum showcases the history of the still-operational distillery, as well as its impact on alcohol consumption and industrialisation in Lithuania since its foundation in 1906. 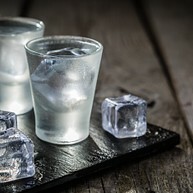 Find out how the best Lithuanian vodka is made! A merchants' place during Hanseatic times, then a school also attended by Adam Mickiewicz, this Gothic building has always had an important role in Lithuanian history. The building is named after Pagan god Perkūnas, whose sculpture was revealed during the reconstruction works in 1919. 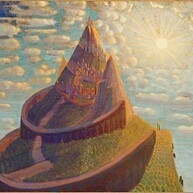 Named after Lithuania’s most prominent Art nouveau artist and composer, this gallery displays a vast collection of Lithuanian art in collaboration with multiple other museums and galleries throughout the city. Ancient world art, folk art, and an exhibition on numismatics are also on display here, together with various temporary ones. 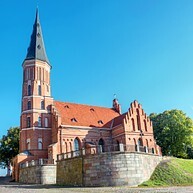 Named after the ruler of the Grand Duchy of Lithuania, oftentimes regarded with the rise of Lithuanian consciousness, this is the oldest church in Kaunas, built in 1400 by Franciscan monks. This impressive Gothic landmark by the Neman river (and the bridge bearing the same name) has suffered several floods in the past, and there's a scale by its side that marks the memories of those critical times. This Roman Catholic church was built to celebrate Lithuanian independence, regained in 1918. 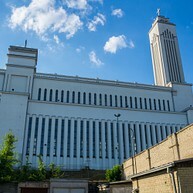 A unique landmark in Kaunas not only for its modern functionalist layout, but it is also regarded as the largest basilical church in the Baltic states.